I’ve been so busy dyeing that I almost forgot to post about new Sock Club! After the summer off we have a new club starting this month (September). But be quick, it’s shipping out next week so we’ll be closing subscriptions on Sunday evening (or sooner if it sells out). 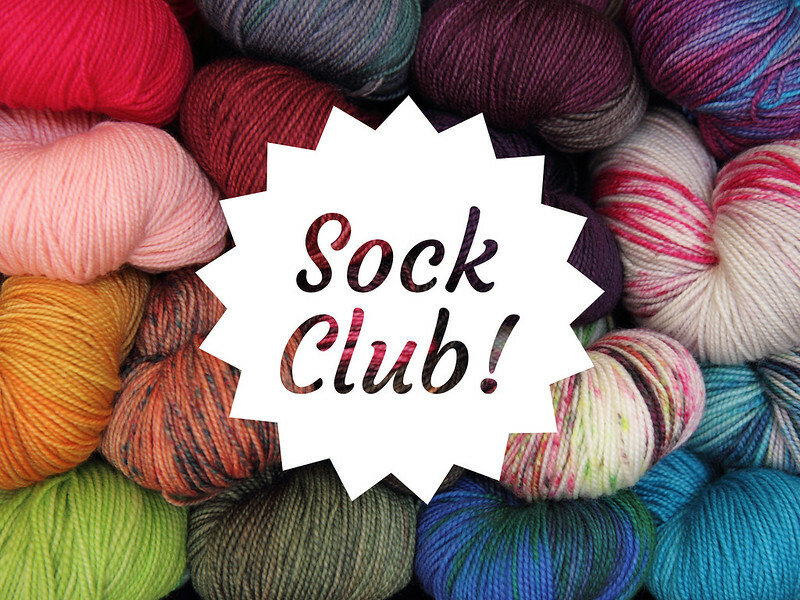 Sign up by 4 September for Sock Club! As before, you’ll get premium hand-dyed merino sock yarn delivered to your door every month. We’ve got a new, more flexible subscription system so we’ve opened the club up to yarn-lovers worldwide. You can subscribe for 2, 3 or 6 months and choose either 100g or 200g each month. Each edition will be a brand new shade created especially for the club (with additional skeins normally available to purchase a week or so later). The yarn is a high-twist yarn, spun in England from non-mulsed South American superwash merino. It’s not just for socks, it’s also ideal for baby clothes, sweaters and pretty much all your 4 ply projects.